After struggling with the loss of yet another person so dear to her heart, Mia Sullivan, transforms her frustration and loneliness, into focusing on her future career. As the top of her class at Harvard Law, she’s nervous and excited, when given the opportunity of a summer extern position at one of the top firms in Boston. 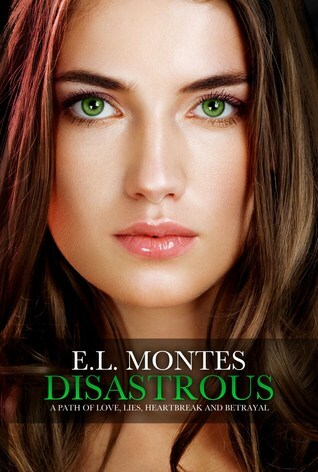 Her new boss is young, extraordinarily handsome, and the successful, Marcus DeLuca. Slowly she begins to fall for him, but as she caves in to his charms, she begins to discover he is keeping something from her. Marcus DeLuca is living two lives: one that involves his successful career and the other that could potentially ruin his entire reputation. Every day is a stressful and hectic environment with his busy schedule. His secret could jeopardize not only his life but everyone he loves.That’s why he has no extra room for a serious, romantic relationship, but after meeting Mia he cannot resist her. She is innocent, humble, and pure, the total opposite of him. She distracts him from all of his deep, dark secrets. He knows once Mia finds out the things he has done and who he truly is, she will never want to look at him again. Deep down he knows he must stay away but he can’t. Mia and Marcus are heading down a path of love, lies, heart-break and betrayal. Can their love conquer all or will it end? Holy prologue batman! This book had me at the prologue and I wanted more!!! There is so much to this story, the passion, the drama and just enough angst to make you crave more!! I will say, after the prologue when Marcus and Mia initially meet, the relationship moved a bit too quickly for me. It was moving in the direction of… I can’t live without you after a matter of a few days. Their conversations seemed forced and I started to feel lost. Those first few chapters had me thinking that perhaps I wasn’t invested in them. Obviously, I kept reading because of the prologue and I knew things had to progress to understand what happened. I’m not sure how or exactly when it happened but I was hooked again!!! OH. MY. GAWD. Not only are Mia and Marcus a hot mess but they make sense together and I was starting to become emotionally invested in them. It took a while but I got there!! The constant up and down between these two had my anxiety levels higher than my blood pressure and that’s pretty damn high! Add all the delicious steamy moments and I almost had a heart attack! There is mystery that surrounds Marcus which makes the story so appealing because you want to understand why he’s wrapped up in so much “stuff”. And while Marcus is wrapped up in “stuff” there is goodness to him that makes him incredibly attractive which in turn, makes it easy to forgive him. Clearly that is why Mia stands by him for as long as she does because it’s his core that makes her melt besides other things (wink-wink). My rating was heading in the 3 star direction but things changed. Things that I wasn’t expecting and those things had me all twisted-up in knots. For a debut book, it’s pretty damn good. My final two cents: Definitely a bumpy start but totally worth it and I’m looking forward to the next book in the series.